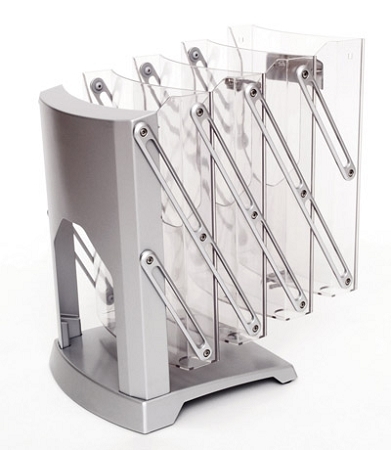 This deluxe Swedish engineered brochure stand is top of the line and will add a degree of sophistication to your display. This brochure stand includes free FedEx ground shipping to a business address in the continental US. 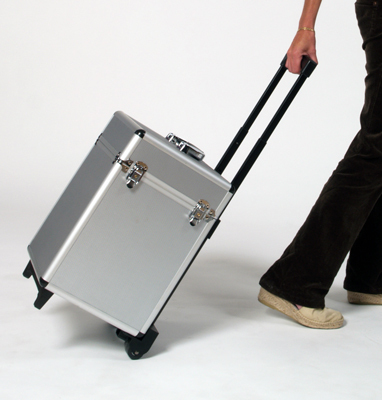 For air shipping options upon request. 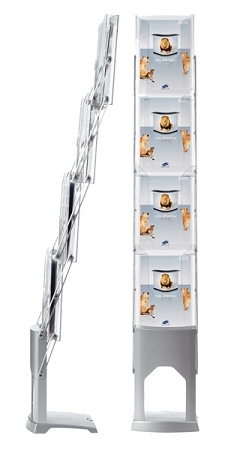 When you demand the best, choose our Ultra Brochure stand. This Swedish designed stand offers sophisticated Euro-styling and superior construction. 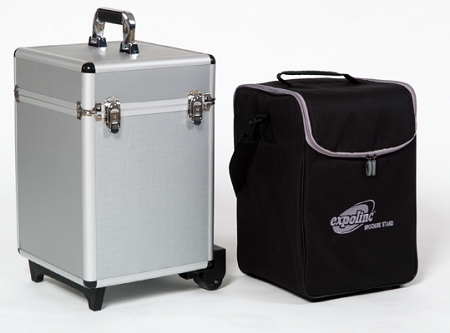 The 4 compartment brochure stand is available with your choice of a padded bag or a hard case with wheels and retractable handle. Need something to fill this stand?